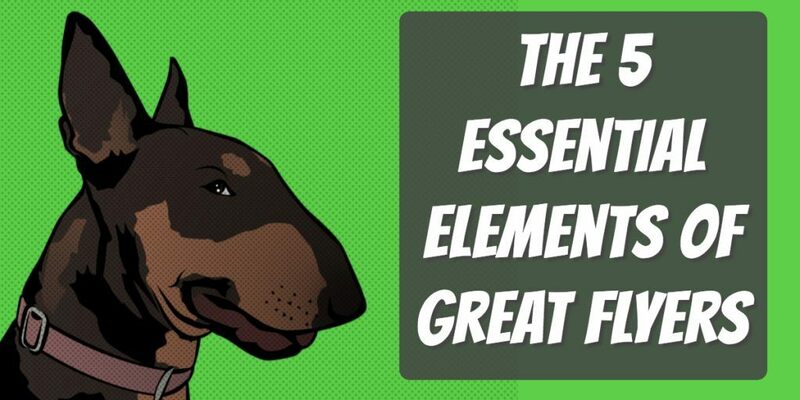 Dog Walking Flyers: 5 Essential Elements You'll Need - Pet Business Masters! 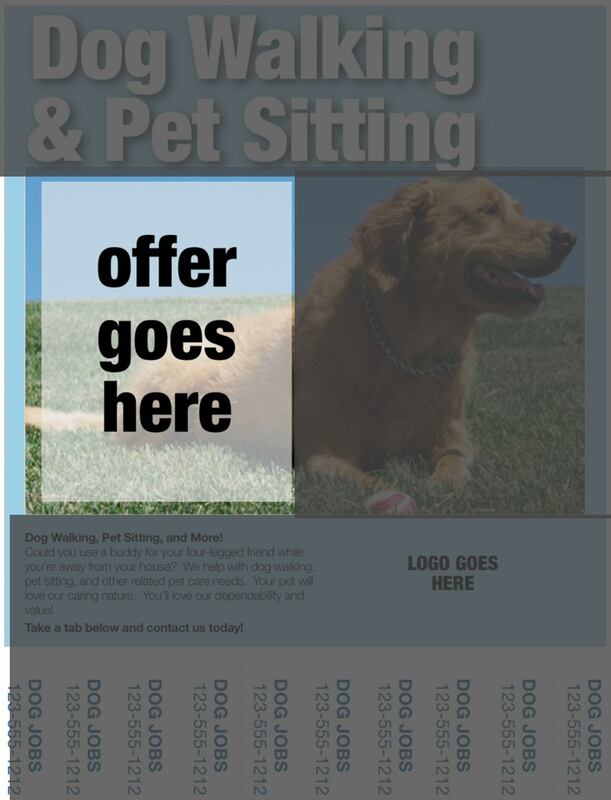 If you're marketing your pet business, one of my 51 awesome ways to get clients is to create flyers to post around in public areas. 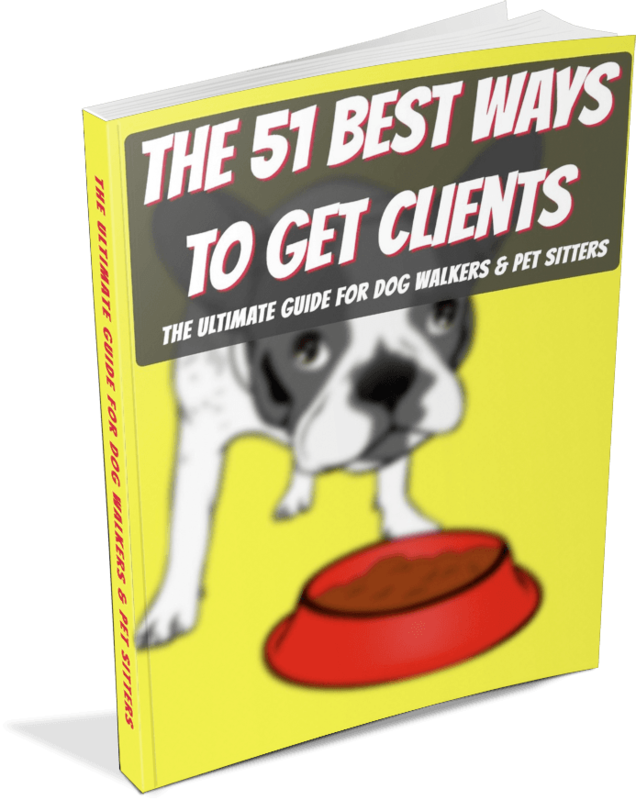 But, if you're creating dog walking flyers or pet sitting flyers that are actually going to attract attention and work, these are the 5 essential elements you'll need to include. Effective dog walking flyers have a large, attention-grabbing title. 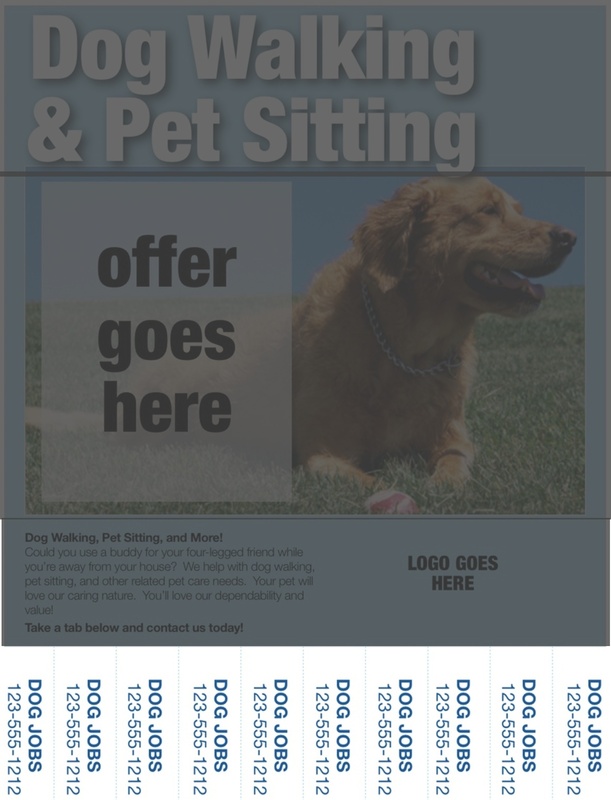 In the dog walking flyer above, you can see that the title is "Dog Walking & Pet Sitting". The letters are in a large and easy-to-read font and they jump out with white text and gray shadow background. In this example, we're calling out the service that we're offering. So, someone who may be thinking of these types of services will take notice right away. As it is, the title I'm using is relatively bland though. Having a title that says something very specific such as "Dog Walking: Only $15" or "Pet Sitting: Available On Holidays" singles out a specific benefit that may be of interest to a prospect. 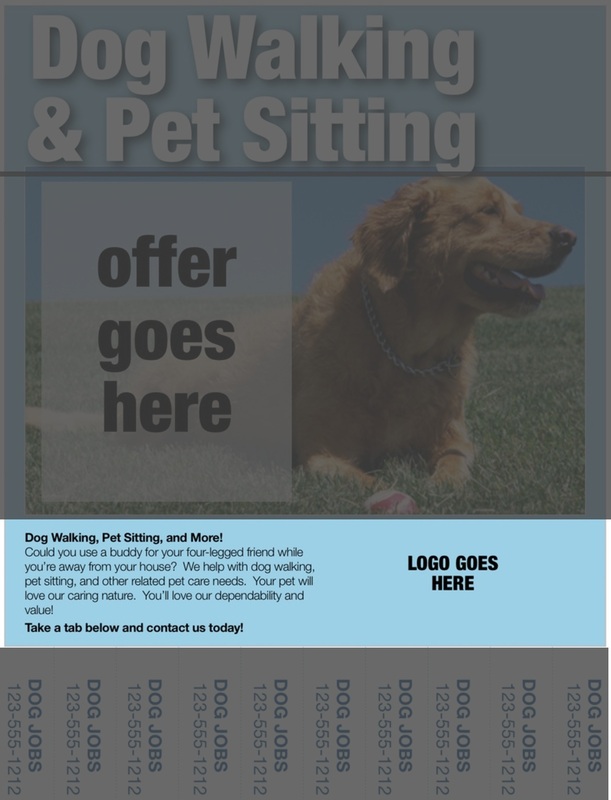 Dog walking flyers should promote something specific if you really want to attract attention (the same goes for pet sitting flyers). The offer should be extremely easy to see. Don't bury it in a paragraph of text. Make it plainly obvious in your flyer design. In the example above, you can see that I added the offer right in the middle of the page. It's in black text to contrast with the white title above it. The offer also needs to be something that is going to be worthwhile to someone. A simple "take 10% off" or something like that is probably only worth a dollar or two. That's not enough to get someone to take action. Instead, make it substantial like "Free First Visit" or "Buy 2, Get 1 Free". Effective dog walking flyers also have an attractive image. Never ever make a flyer with just text. No one will ever notice it. If you're making dog walking flyers, then make sure to have a big image of a dog on it. 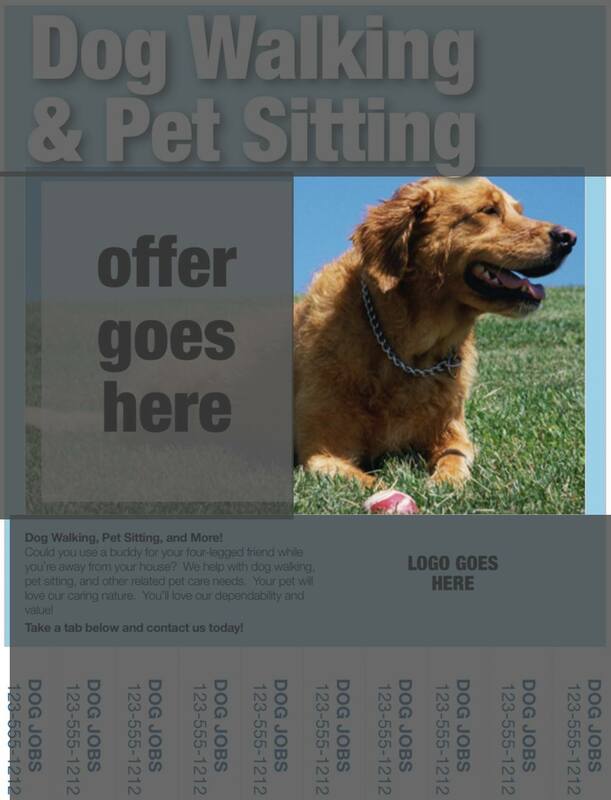 If you're making pet sitting flyers, then you're fine to have images of all types of animals that you may care for. The key is simply to have pictures of animals somewhere on the flyer. Further, have the picture be in color, if you can. Images will attract attention and help cement what you do in the prospect's brain. You don't want a whole bunch of tiny text on a flyer like this because it will make it look too intimidating for someone to read since they're probably just passively looking at it. However, dog walking flyers with at least some additional information will enhance their effectiveness. Great information to add will include a brief description of what you do, what areas you service, hours/availability, and prices. That's about all you'd need. Basically you just want enough info to pique someone's curiosity and get them to call you. 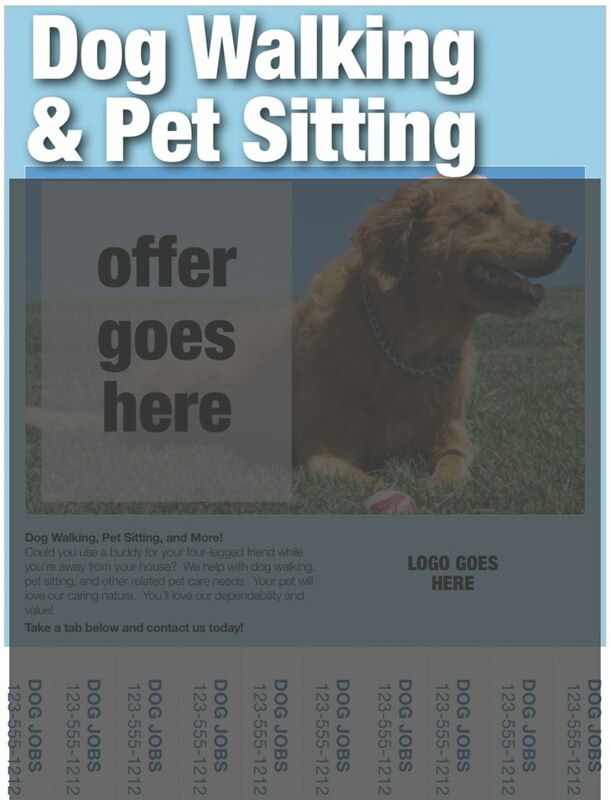 The final component of the most effective dog walking flyers is ​your contact information. Creating these pull tabs is very easy. Simply make a horizontal fold about 1/6 up from the bottom of the page and then use a scissors to cut between each area where your contact information is. This makes it easy for someone to rip off just one tab without destroying your entire flyer at the same time. Do you use flyers in your business? If so, where do you post them? Let us know in the comments below. 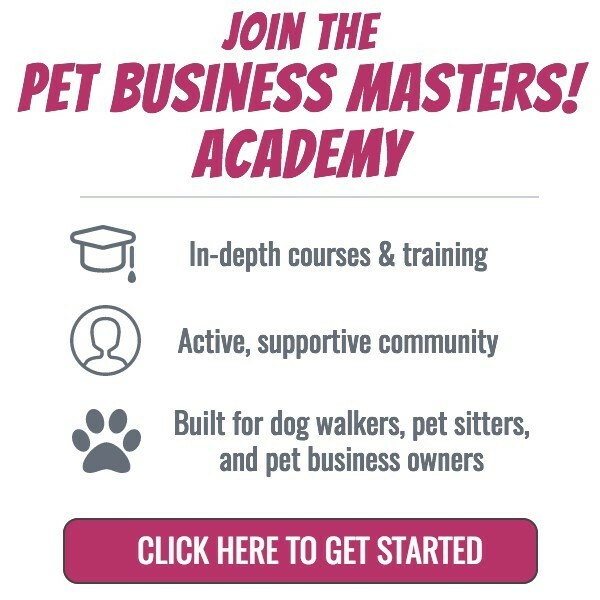 PS - you can have this flyer to customize for your own business as a member of the Pet Business Masters! Academy. Academy members get access to all types of marketing, operations, and hiring templates so you don't have to reinvent the wheel.